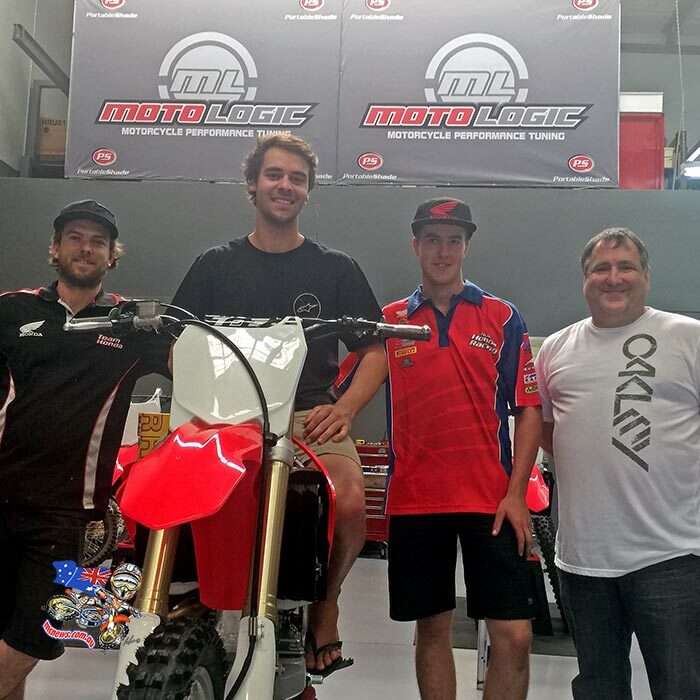 Team Honda Racing: The Paul Free managed Team Honda Racing will see Jay Wilson and Dylan Long lining up to race a Honda CRF450R in both the Australian MX Nationals and the Australian Supercross Series. “I am super excited to be joining Team Honda Racing heading into 2016 and can’t wait to get started.” Long said. “I have seen the success the road team has already achieved over the years and to have Pip Harrison onboard with the off-road side of things is really exciting. Jay Wilson trying a CRF450R on for size at Team Honda Racing with Technicians Daryl Fenn (on Jay’s right), George Rawlings and Pip Harrison. NPS Monster Energy Kawasaki: Mat Moss (MX1), Kade Mosig (MX1) and Jake Moss (MX2) have officially been named as Factory Kawasaki riders in the NPS Monster Energy Kawasaki racing team for the 2016 Motocross and Supercross Championships. Kicking off with the opening round on January 1-2 in Kurri Kurri, NSW, the four round 2016 Australian Speedway Senior Solo Championship will see 2013 winner Troy Batchelor, 2015 runner-up Sam Masters and three-time Australian Under-21 Solo Speedway champion Max Fricke go toe-to-toe with an exciting blend of established and up-and-coming local stars in Josh Grajczonek, Justin Sedgmen and Nick Morris. The Brisbane Motorcycle Club will utilise their state-of-the-art Harrisville facility to host the Triple Crown of Vintage Motocross with the first event in the series being the Queensland Classic & Post Classic Championships on April 23/24 before the National Classic Motocross Championships held over the weekend of June 18/19 then the National Post Classic Motocross Championships on July 23/24. These events are a must for any rider with a lust for tank slapping on old dirt bikes…. The Sunshine State Motocross Championships has been the breeding grounds for the likes of Michael Byrne, Mick Cook, Sharky McFarlane, Todd Waters, Jacob Wright and Daniel Reardon to name a few and 2016 is looking like another cracker of a year for the up and coming moto heads – here is the calendar for 2016. 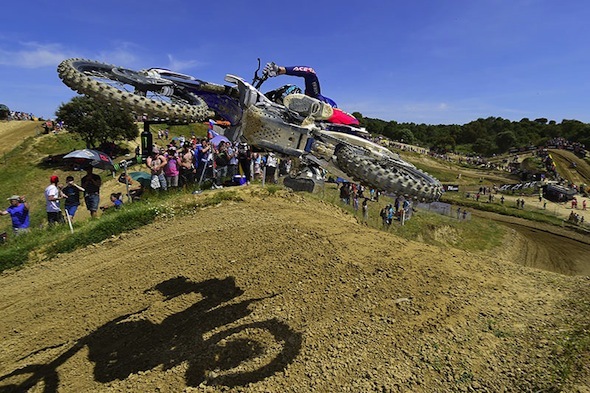 These events are a must for any rider with a lust for tank slapping on new dirt bikes…. 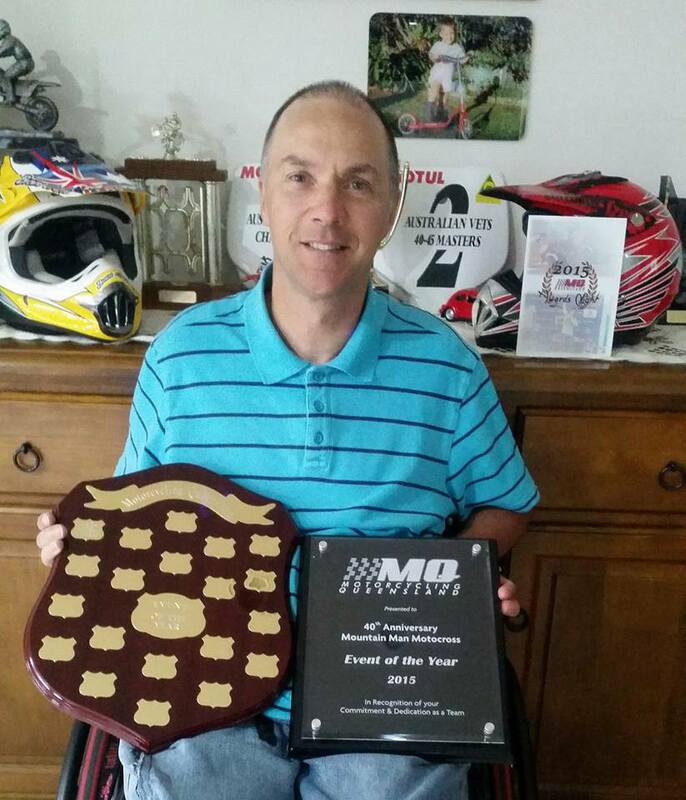 The annual Motorcycling Queensland awards night was held recently and the 40th anniversary of the Mountain Man Motocross was awarded Event of the Year with Bryan Flemming accepting the trophy on behalf of all involved. Looking through Chad Reed and Michael Byrne’s social media you get a sense that their long term friendship has evolved into an alliance that will propel them into the heat of battle for the 2016 AMA Supercross Championships. With nothing confirmed as far as a factory ride, Reed and Byrne have been ripping through the race fuel at Chad’s supercross practice track each day before making their way to Chad’s garage to work on several half pulled apart Yamaha YZF450s…..this is home-grown, seat of your pants Aussie initiative…..go boys! Yoshimura Suzuki Factory Racing’s Blake Baggett was injured in a practice crash during testing in Corona, California and will miss the start of the 2016 Monster Energy/ AMA Supercross season next month. Baggett was rushing through a whoop section at speed when he crashed and hit the ground hard. 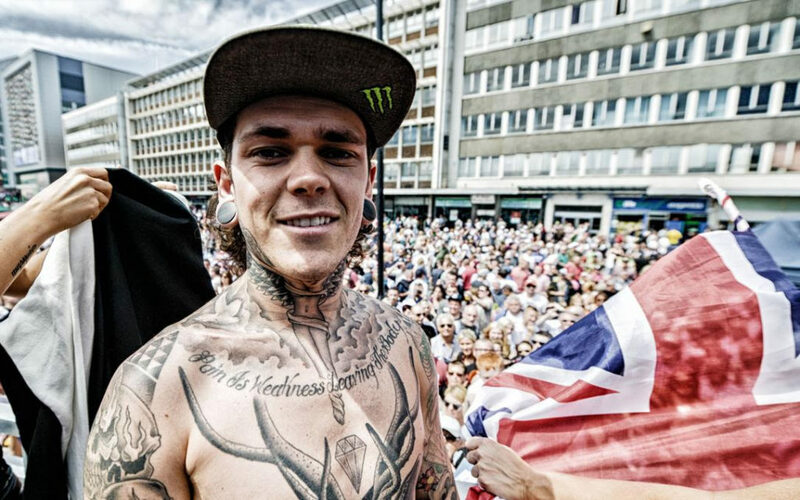 He suffered a number of injuries including a broken collarbone, broken ribs and broken scapula. He and his family are still discussing options with his doctors on how to move forward. Baggett was the lone Yoshimura Suzuki pilot during most of the 2015 season with his team mate James Stewart out with either injury or a drug ban. 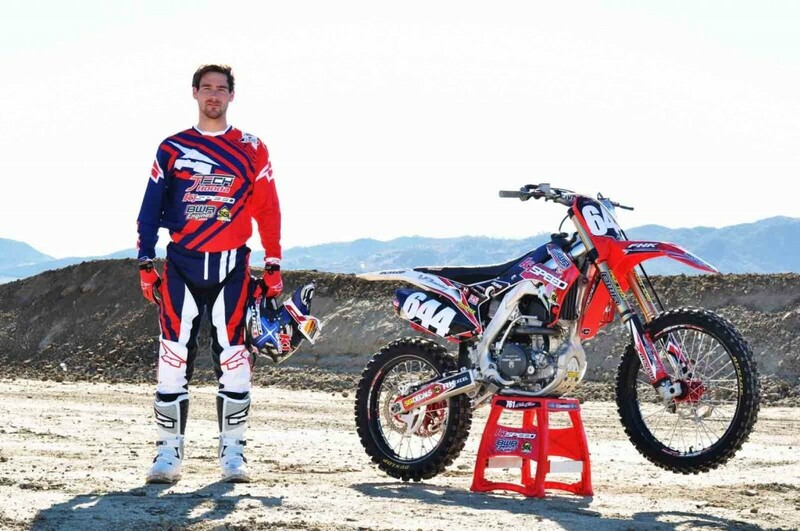 Talented Dutch rider Nick Kouwenberg will compete in the 2016 AMA Supercross 250SX West Region championship. With support from American Honda, Kouwenberg will take on the eight West Region rounds before the European motocross season starts in Valkenswaard at the end of March. 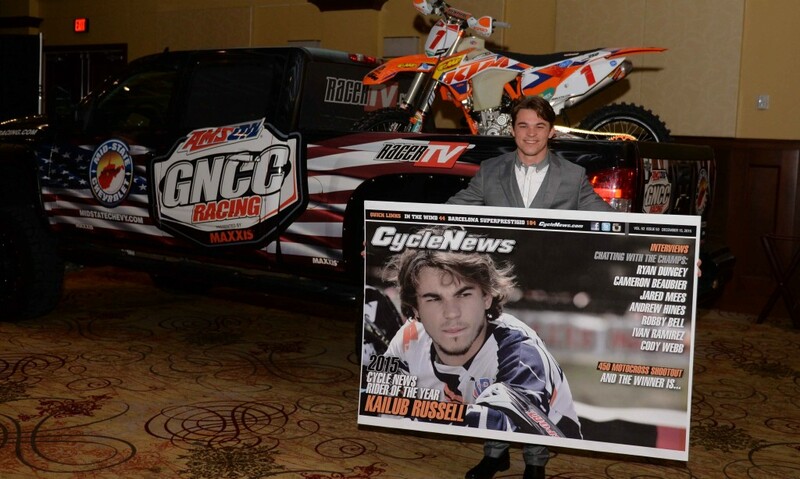 GNCC Champion Kailub Russell was honoured at the annual Racer Productions-hosted GNCC Awards Banquet at the Waterfront Place Hotel and Convention Center in Morgantown, West Virginia, where the FMF KTM Team rider received his 2015 number-one plate and trophy. Jeffrey Herlings, Pauls Jonass and Davy Pootjes of the factory Red Bull KTM Factory Team have signed to race the Be Wiser Hawkstone International on 7th February 2016. The list of GP stars heading to Hawkstone grows each week so it will be as good a shake down as any of the riders would wish for. 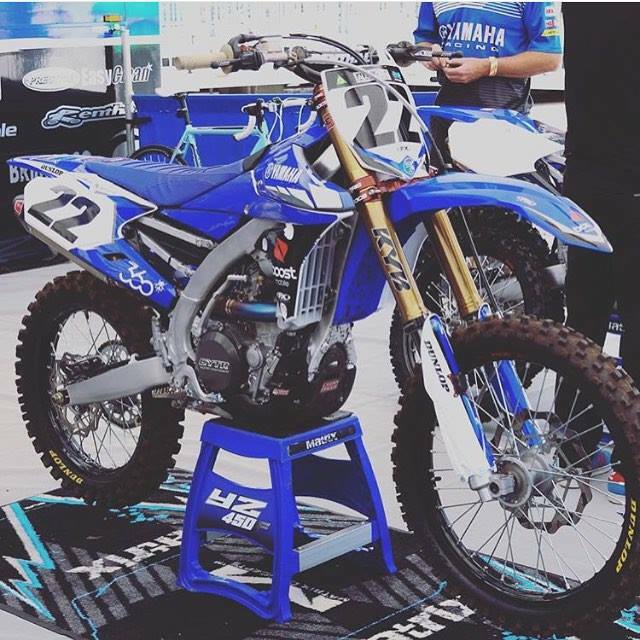 After some difficulties with his previous team Valentin Guillod had been assurances by Yamaha that he would be with them in 2016 and now they have placed him on the Kemea team in the 450 GPs. The Malaysian round of MXGP has been cancelled but Youthstream is pleased to announce that the ‘TBA’ round scheduled to take place on the 28th and 29th of May will be in Talavera de la Reina as the MXGP of Spain. Please find here below the updated calendar. VMXdN (Veteran Motocross de Nations) promoter Dave King has announced that 2000 World MX2 champion and former AMA Motocross champion Grant Langston has confirmed that he will race the event in 2016. Round three of the AX Tour was held recently and it was Jake McKinney who finally got to take the overall wins leaving championship leader Travis Sewell to only pick-up a minor place in the Clash for Cash. AX Pro Lites Overall: 1. Jake Mckinney. 2. Jesse Wentland. 3. Marcus Nilsen. 4. Heath Harrison. 5. Erik Utech. AX Pro Overall: 1. Dylan Rose. 2. Jake McKinney. 3. Martin Castelo. 4. Scott Zont. 5. Jansin Mccoy. Clash for Cash Overall: 1. Jesse Wentland. 2. Travis Sewell. 3. Daniel Herrlein. 4. Heath Harrison. 5. Joey Crown.